"As tempting as it is to rule out Tommy Fleetwood, after what must have been a draining week at Shinnecock, it perhaps wouldn’t be wise to do so. If he transpires to be mentally and physically fatigued nobody would be surprised but others have overcome a draining US Open and performed well here, so why not Tommy?" The European Tour heads to Germany this week for the 30th edition of the BMW International Open. The tournament now alternates between venues - the Golfclub München Eichenried and the Golf Club Gut Lärchenhof. This year, it's the turn of the latter. Golf Club Gut Lärchenhof, Pulheim, Germany. The Golf Club Gut Lärchenhof was last seen two years ago, when Henrik Stenson cruised to a three-stroke win, a month before winning the Open. Two years prior to that, Fabrizio Zanotti won a four man playoff and in 2012, Danny Willett, won his first European Tour event, edging out Marcus Frazer in another playoff. Golf Club Gut Lärchenhof was also used for the Mercedes-Benz Championship between 2007 and 2009, and prior to that it was the venue for the Linde German Masters, which was effectively the same now defunct event, between 1998 and 2005. There was no event in 2006. Designed by Jack Nicklaus, the fairways are flat. Some are exposed and some are tree-lined but they all have tight landing areas. Water is in play on half the holes and the the greens usually run at around 12 on the stimpmeter. Live on Sky Sports all four days - starting at 10:30 (UK time) on Thursday. What Will it Take to Win the BMW International Open? Stenson must have had his trusty three-wood working two years ago because he ranked eighth for Driving Distance and first for Driving Accuracy. The runner-up, Darren Fichardt, ranked second for DA so it's tempting to think that's an important stat but it might not be this year. Rain made the rough far trickier than it usually is and looking at the other renewals here, and the dry forecast, I suspect DA won't be so vital this time. The average DD ranking of the previous five course winners is 27.8 and the average DA ranking for the five is 26.8, so despite Henrik's exploits, neither power nor accuracy has so far proved essential. Like Stenson, Danny Willett ranked eighth for DD in 2012 but the man he beat in extra-time, Marcus Fraser, only ranked 65th and Zanotti only ranked 44th in 2014. And neither of the 2012 or 2014 winners were especially accurate. Willett's DA ranking was 44th, Zanotti was 33rd. Putting hasn't been a key stat either. Looking back, three of the last six course winners have ranked inside the top-eight for putting but Stenson only had a Putting Average ranking of 44th and James Kingston managed to win the Mercedes-Benz Championship here in 2009 with a PA ranking of 51st and Scrambling looks like a more important stat to consider. Stenson scrambled well two years ago, ranking second, and four of the last six course winners have ranked inside the top-eight for Scrambling but it's clearly not essential given Robert Karlsson was successful here with a Scrambling ranking of 31st. The average Scrambling ranking for the last six winners is 12.1 but the average PA ranking is as high as 23. The key stat here has been Greens In Regulation. Zanotti only ranked 46th for GIR four years ago but fellow playoff protagonists, Rafa Cabrera-Bello and Henrik Stenson, ranked 1st and 4th for greens hit, the first three home two years ago ranked first, third and fifth and the four course winners before Zanotti ranked 11th, second, first and fifth, so that's definitely the main stat to concentrate on. Zanotti and Kingston were not well-fancied and neither was Willett but he's gone on to win a major since, as has the last course winner, Stenson. The likes of Monty, Ian Woosnam, Padraig Harrington, Sergio Garcia, Bernard Langer, K.J Choi, Retief Goosen and Robert Karlsson have all been successful at Gut Lärchenhof and they're all straight out of the top drawer so don't be surprised if we get another classy winner this week. Prior to the 2014 edition here I was adamant that you needed to be bang up with the pace throughout. The 2012 playoff protagonists, Willet and Marcus Frazer, had sat third and first after round one and four strokes had been the furthest any winner had trailed at Gut Lärchenhof after the first round. Zanotti was matched at [900.0] in-running in 2014 and beaten playoff protagonist, Gregory Havret, was matched at [1000.0] but that's hardly surprising. They sat 85th and 65th respectively after round one and they were both outside the top-ten before round four began. Jamie Donaldson and Thongchai Jaidee also made up lots of ground to ultimately fall a shot shy of the playoff so on that evidence, a slow start isn't the end of the world at all but in the 11 events previously played here since 1998, and in the subsequent renewal, two years ago, when Stenson trailed by three after round one before leading from halfway, no winner, other than Harrington, had trailed by more than three at halfway, or by two strokes with a round to go. The 2014 result is a huge spanner in the works and it goes to show you can win here from a long way back but given how near to the lead 11 of the 13 course winners have been since 1998, I'd still heavily favour those up with the pace. The 2014 renewals looked like a one-off and Stenson's win supports that. As tempting as it is to rule out Tommy Fleetwood, after what must have been a draining week at Shinnecock, it perhaps wouldn't be wise to do so. If he transpires to be mentally and physically fatigued nobody would be surprised but others have overcome a draining US Open and performed well here, so why not Tommy? Contending at the US Open has been a negative at this week's PGA Tour event, the Travelers Championship (previewed here), but it hasn't at this event. Ernie Els won the title at Golfclub München Eichenried a week after finishing fourth at Merion in 2013, Stenson finished runner-up here two weeks after finishing fourth at Pinehurst in 2014 (his first start after the US Open), and he won the tournament two years ago after withdrawing at Oakmont. What is off-putting is Fleetwood's course form. This is his fourth visit to Gut Lärchenhof and his figures so far read a paltry MC-33-MC. Second favourite, Sergio Garcia, won the German Masters here way back in 1999 and his course form figures read a very respectable 1-17-29-15-5 but he's lost his form completely since the birth of his daughter. He missed the cut when defending his Masters crown and his form figures since are woeful - reading MC-MC-70-MC-MC. Andy Sullivan's form has been improving of late and he's finished inside the top-seven in three of his last four starts but he hasn't won for three years and his course form is nothing to write home about. He missed the cut on debut back in 2012 and in his two subsequent visits he's finished 33rd and 21st. Thorbjorn Olesen missed the cut at Shinnecock after winning the Italian Open and he's by no means certain to bounce back here. 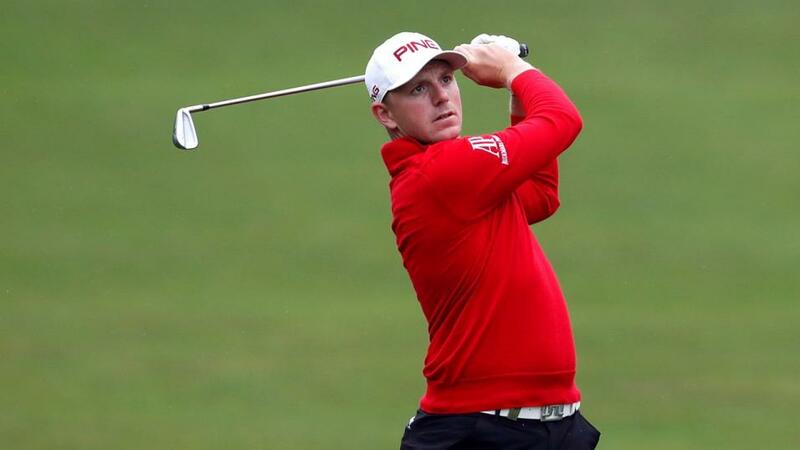 The brilliant Dane blows hot and cold and like his previous four European Tour wins, his success in Italy came out of the blue. If his usual pattern occurs, he'll lose his form again soon enough and he's one to back blind at triple-figure odds when seemingly struggling. Not at cramped odds soon after a win. I'm not overly keen on anyone here before the off so I'm going to keep my powder dry until the tournament kicks off. I've had a few pounds on all the each-way picks (here) and I've had a wee bit more on my man, Matt Wallace, on the exchange at a juicy price but I'm going to get properly stuck in after the opening round.